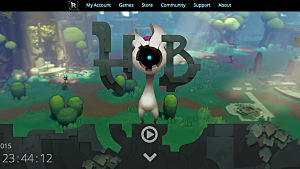 Hob is a new action adventure game by Runic Games, created in the vein of the Legend of Zelda series. In Hob, players take the role of a presumably unnamed protagonist who wakes up in a seemingly unknown environment. A mechanical golem then guides players through a tutorial until the protagonists hand becomes infected by a poison afflicting sections of the environment. The protagonist later wakes up to find themselves back where they started, but now with a large mechanical replacement hand to aid them. They then go out to explore the world and go on a journey to supposedly save it from the source of its affliction. 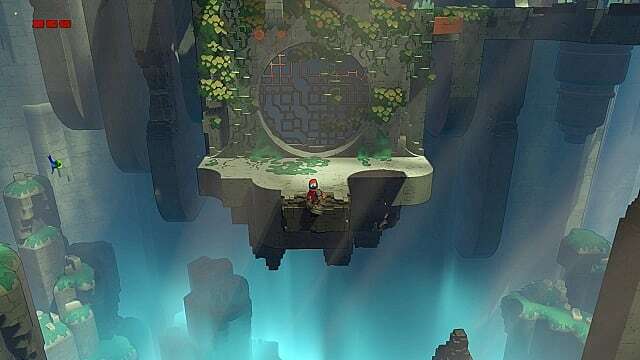 The world of Hob is its most notable aspect. Between the strange creatures, the ancient ruins of a rather advanced civilization which cover the world, and certain viewing spots with special music cues for players to take it all in, the mere extent of the world rarely falls short. It's charming to be able to appreciate the strange world of the game without having to worry about a nearby threat moving closer, as enemies and dangerous obstacles are usually well-separated from viewing spots and other areas, or have already been defeated before the player arrives at a scenic overlook. In true homage to its inspiration, all the staples of a Legend of Zelda type game are present -- a sword which increases in strength as you progress, the more unique mechanical arm which does the same, various puzzles to solve and enemies to defeat, save points, and fast travel between different areas of the world. New abilities and equipment can also be purchased at certain temples and made from any blueprints that are found throughout your journey. All of these aspects function as they should, but they all leave something to be desired as well. Despite an outlandishly gorgeous world and noteworthy overall presentation, Hob has a few significant flaws which keep it from reaching the same level of quality as other games in the genre. The game suffers from a severe lack of direction due to containing no dialogue, and it can be difficult to determine where to go next. 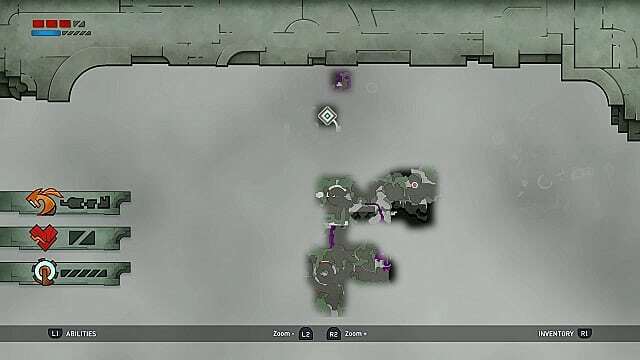 Once the map is obtained and markers can be seen, it shows players where to go but gives no insight into how to get there, leaving it up to the player to figure it out (similar in some ways to the first Legend of Zelda game). While some players enjoy the encouragement of exploration, the vagueness can leave others feeling frustrated, particularly when backtracking and re-exploring areas becomes rather tedious after the map tries to trick you into thinking the path to the next marker is easier than it actually is. 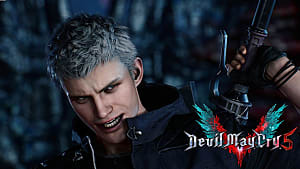 Although the gameplay is adequate from the tight combat with the sword and heavy mechanical arm to the familiar feeling of obtaining upgrades and armaments, it's also relatively standard and provides no new or interesting twists -- bringing nothing to the table that hasn't been seen before. And there are a few hindering mechanics that should have been left on the drawing board. When you're close to a climbable object, for example, the game will do an automatic grab and take you somewhere that you may not have wanted to go. 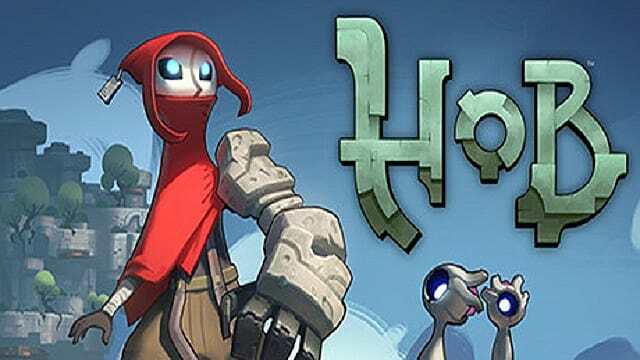 Unfortunately, Hob seems to lack the innovative qualities of other previously released games in the same vein. Players who appreciate unique, spectacular visuals and don't mind too-familiar gameplay and lack of direction will get the most enjoyment out of this game. It lacks the innovation seen in other, arguably better, games in the genre -- but Hob can still provide a satisfying experience for some. Hob is currently available on PC through GOG and on PlayStation 4 through the PlayStation Store. It costs $19.99 on all platforms. 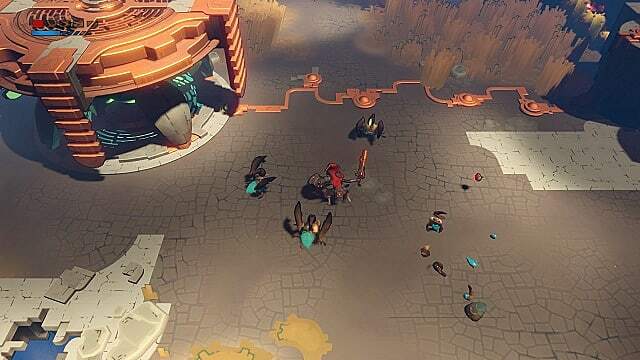 Runic Game's Legend of Zelda inspired adventure takes players on a mundane journey through an extraordinary world.